Wow! This was a great read with so many of my memories of college rolling back in as each page was turned. I love the main character Brooke who is clumsy, sweet, & a little bit wild. She reminded me of my first years in college where second guessing and goofy screw ups happened on a weekly basis. The setting of the University of Texas was wonderful for this Texan, but this book could be about any college campus across the country as it is relevent & funny on so many levels. Michelle Manning truly has it all using her gift of humor and angst that every college girl and guy lives in their goal to get that higher education. Oh yes, James is quite the awesome character as well whom this reader fell in love with on first introduction. I won this book in a GoodReads competition. 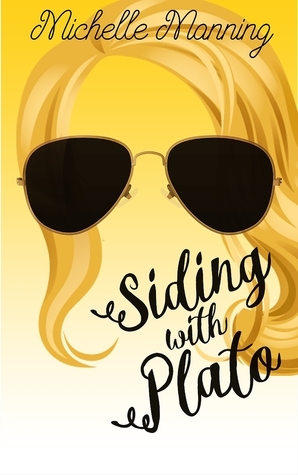 Sign into Goodreads to see if any of your friends have read Siding with Plato.